Much has already been made of Animal Kingdom's pedigree, which is by far the most Euro-oriented of any recent Kentucky Derby (gr. I) winner. True, his sire, Leroidesanimaux, is Brazilian-bred, but like many Brazilian pedigrees, his has a strong Anglo-French flavor. He is by Candy Stripes, a son of French champion juvenile Blushing Groom and the French-bred Lyphard mare Bubble Company, and is out of the Ahonoora mare Dissemble, an English-bred half sister to the great broodmare Hasili. (Watch for a Sire-Producing Families installment about this female line in the May issue of The Blood-Horse MarketWatch.) Candy Stripes and Lyphard (to whom Animal Kingdom is inbred 4x4) are both American-bred, but both raced in France and had their greatest successes as sires abroad. On the distaff side, Animal Kingdom's dam, the German-bred Dalicia, was a group III winner in her native land and hails from the stout sire line of Dark Ronald. Imported to Germany from England in 1913, Dark Ronald led the German sire list five times and had a profound influence on German breeding that is still felt a century later. Dalicia's female line traces back to one of the few fine Hungarian families to survive World War II. While still unusual in American pedigrees, German breeding has moved increasingly into the mainstream in Europe, where top German bloodlines are prized for their soundness and stamina. One need look no further than 2009 European Horse of the Year Sea the Stars to find German influence, as his second dam was bred in England from German-bred parents and came from a female line that had been in Germany since the late 1800s. What does this mean for American breeding? Certainly Animal Kingdom will get an opportunity at stud in Kentucky, barring a massive flop in the remainder of his racing career or a sale out of the country. But the question is much larger than the fate of just one stallion prospect, however talented. With the pensioning of A.P. Indy, the most reliable source of stamina by far among the top Kentucky-based sires is Dynaformer, now 26 years old. Other stallions are capable of getting horses that can stay 10 furlongs or more, but none are as consistent in transmitting stamina as Dynaformer, and very few approach him as sources of soundness, scope, and bone. Dynaformer is also one of the few Kentucky-based sires with significant appeal in the European market, which, like it or not, is where much of the big money is. Replacements for Dynaformer, the recently pensioned Kingmambo, and other sires with European appeal as well as the capacity for transmitting stamina are badly needed if American breeding is not to become increasingly isolated from the big-money markets in Europe and Japan. Unfortunately, outcrossing to stout but unfamiliar (at least in North America) lines from Germany and the Southern Hemisphere is still far from commercial, and the usual bias against runners who had their best successes on the turf does not help. Nonetheless, Animal Kingdom offers a gleam of hope that new bloodlines can be incorporated into the American breeding industry with success. May his tribe increase. Bonus: So, Leroidesanimaux is Brazilian-bred. What other bloodlines have come from south of the equator? 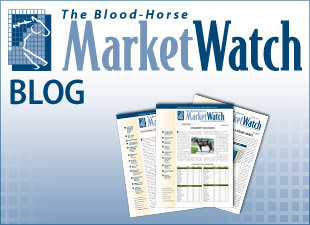 Read Avalyn Hunter's review of South Americans as North American Sires from the June 2009 issue of MarketWatch. Or, for Alan Porter's take on the historic nature of the 137th Derby winner, read Animal Kingdom's History-Making Pedigree.